Like ketamine, cannabis has proven time and again enormous flexibility for treating a full spectrum of illnesses, disorders, and psychiatric conditions. Yet less than one week prior to fast-tracking the former, the DEA — which falls under the FDA’s regulatory control — humorlessly announced it would not move to reschedule cannabis from its current status of a narcotic substance lacking any potential medical benefit. 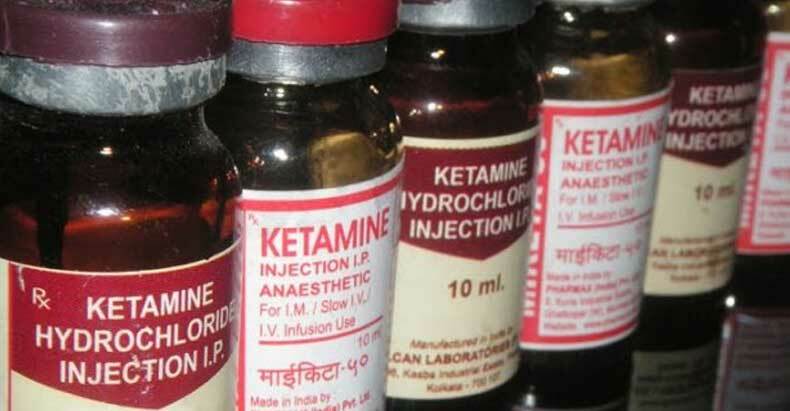 Of course, this isn’t meant to downplay the importance of loosening controls on ketamine, since the drug certainly provides relief for many who desperately need it. But the criticism stands as further validation the drug war was never about drugs — it’s about the profits via the politicization of control. Were the government actually interested in preventing injury, the drug war would end entirely — with it, incidentally allowing doctors to treat patients with whatever substance they choose; halting violent and deadly raids on otherwise law-abiding civilian homes; emptying the prison industry’s compartmentalized, overcrowded, and equally problematic penitentiaries; many military operations abroad would need to be abandoned; and removing the so-called need for the government’s military surplus handouts to police departments across the country. But it isn’t interested in that — because the corporate plutocracy masquerading as our government must feed its gluttonous lust for profits, or it will simply wither and die. And the legalization of cannabis, ketamine, and every other so-called illicit substance pose an existential threat to the State and its cohorts.